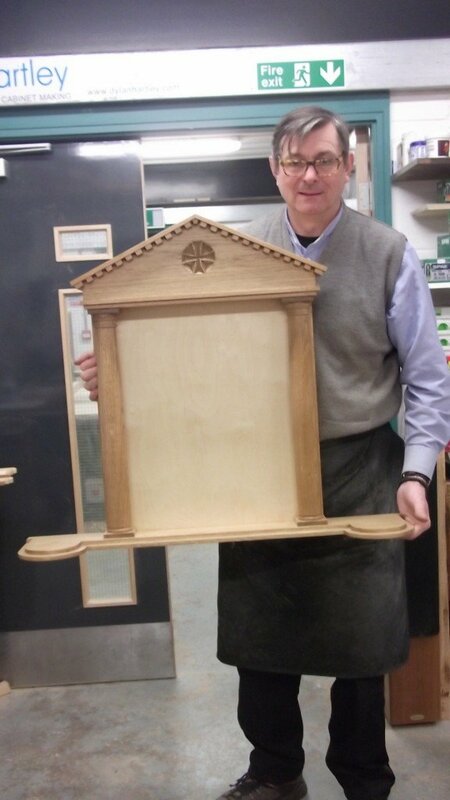 Edicule in Europen Oak for Wonersch Abbey. The back ply panel was finished in a deep red and the Icon mounted centrally. There is space each side for a candle or lamp.